This guided journal offers creative writing prompts, checklists, and myriad ways to share treasured memories and to express your pride in and gratitude for your children. 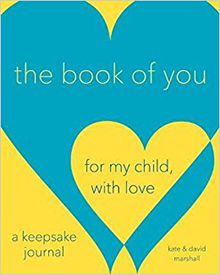 Kathryn Lacy Marshall ’81, with David Marshall, has created nine guided journals for celebrating family, love, and personal growth, among them the bestselling What I Love About You and The Book of Us for couples. Kate’s first-year roommate, artist Sarah (Sally) Jackson Tobin ’81, contributed a coloring page to this book. 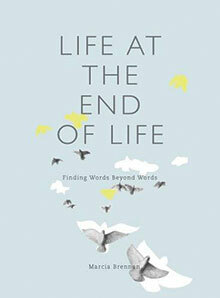 Bridging disparate fields, including art history, medical humanities, and religious studies, Life at the End of Life explores the ways in which art can provide a means for rendering otherwise abstract, deeply personal, and spiritual experiences vividly concrete and communicable, even as they remain open-ended and transcendent. Marcia Gagliardi Brennan ’88 is professor of art history and religion at Rice University. Her work as artist-in-residence at the MD Anderson Cancer Center in Houston, which informed this work, was also instrumental in the creation of her previous book, The Heart of the Hereafter: Love Stories from the End of Life (2014). 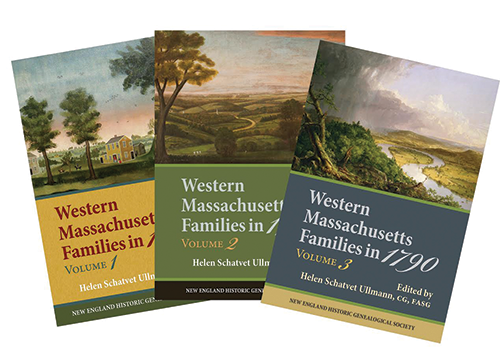 In these three volumes The New England Historic Genealogical Society sketches the histories of Western Massachusetts’ earliest families using data from the first census of the new United States. There is even an appearance by Mary Lyon in Volume 3. Helen Schatvet Ullmann ’59 is associate editor of the New England Historical and Genealogical Register. She is the award-winning author of a number of compiled genealogies, including Descendants of Peter Mills of Windsor, Connecticut, and Some Descendants of Roger Billings of Dorchester, Massachusetts. In addition, she is the author of many genealogical articles, as well as the transcriber of Hartford County Court Minutes, Volumes 3 and 4, and Colony of Connected Minutes of the Court of Assistants, 1669–1711. 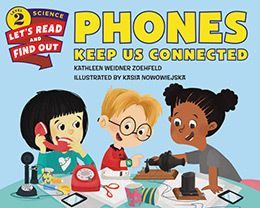 With colorful illustrations and engaging text, Phones Keep Us Connected is a look into the science, technology, and history of how phones work. Before telephones were invented, there was no way for you to sing “Happy Birthday” to your friend if she wasn’t in the room with you. Now you can call anyone, anywhere in the world! How was the phone invented? How has it changed? Read and find out how a telephone can carry your voice across oceans. And how phones have changed the world. Kathleen Weidner Zoehfeld ’76 was a children’s book editor for more than ten years before becoming a full-time writer. She is the award-winning author of more than seventy books for children, including several in the Let’s Read and Find Out Science series. 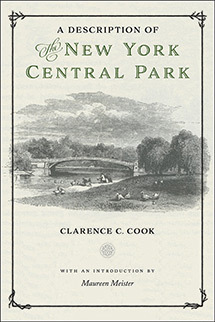 A Description of the New York Central Park was the most important book to be published on Central Park during its early years. Issued in 1869, it was written by a leading Victorian art critic, Clarence C. Cook, and was illustrated by a popular artist, Albert Fitch Bellows. This new facsimile reprint opens with an introduction by Maureen Meister that is based on substantial archival research. What she has found is that the park’s designers, Frederick Law Olmsted and Calvert Vaux, contributed to Cook’s manuscript and almost certainly initiated the book’s publication. Maureen Meister ’75 has published extensively about topics relating to nineteenth-century and early twentieth-century American art and architectural history. Her last book, Arts and Crafts Architecture: History and Heritage in New England, included a discussion of Putnam and Cox, architects of Skinner Hall, the Mandelles, Clapp, and Shattuck at Mount Holyoke College. She holds a PhD from Brown University and has taught at Boston-area universities, including Lesley, Northeastern, and Tufts. 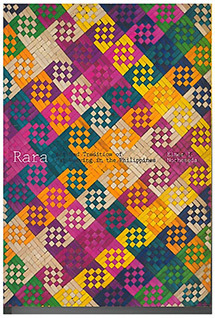 The Philippine Textile Council, Inc.
Rara is the first book in more than one-hundred years to explore the history of the art and tradition of weaving mats, called Rara. The colors, the materials, the uses, the varieties in both their common and mundane level, and their accomplished heights are the subject of this book, and includes an introduction written by Maria Ongpin MA’61. Maria Ongpin MA’61 is the chairperson of the board of trustees of HABI: The Philippine Textile Council. Ongpin is active in the Map Society and was a longtime Admission volunteer in the Philippines. She has a long and deep history with Mount Holyoke past and present. From author Kathy Rainey Bussmann comes the authentic memoirs of an English teacher and an ambulance driver who broke the stereotypes of their era during women’s suffrage, World War I, and the Great Depression. The author of these memoirs was Kathy Rainey Bussmann’s grandmother, Marian Gertrude Viets, who attended Mount Holyoke College from 1914-1919. Bussmann discovered her letters and diaries upon the passing of her father. After spending fifteen years researching genealogy, she soon learned she would need her family genes to save her own life. 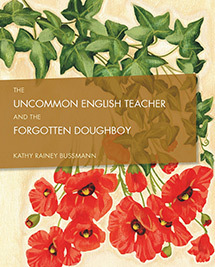 Kathy Rainey Bussmann was born and raised in St. Louis, Missouri, where she attended John Burroughs School. She majored in food and nutrition at Iowa State University and received her master’s in business administration from the University of Missouri. The discovery of her paternal grandparent’s diaries and letters from more than one hundred years ago painted an authentic picture of their unique personalities and helped Bussmann to intimately experience what their lives were like during this time period. Book two in the Cory Goodwin Mystery series, Another Number for the Road stars an MHC alumna who is a Boston journalist and daughter of the New York private eye Archie Goodwin. 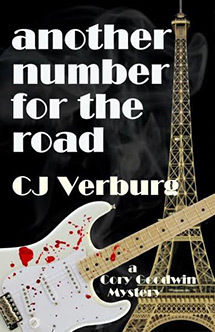 With her marriage to a cosmetics heir in shambles, Cory follows a former rock-protest band to Paris, where their lead singer’s unsolved murder threatens to wreck a networking exchange for socially conscious professionals. Four original songs add to a live soundtrack as Cory’s personal search for lost time clashes with guitarist Dan Quasi’s musical mystery tour from an antiwar march in DC to a village strawberry festival, a Seine cruise, and EuroDisney. Carol (CJ) Verburg ’70 is an award-winning playwright, theater director, and author of best-selling books, including the international literature collections Ourselves Among Others and Making Contact. After graduating from Mount Holyoke College, where she wrote the book and lyrics for Junior Show, she became a cocktail waitress, a part-time boat-builder, and then a textbook editor in Boston and San Francisco. Her mystery, Silent Night Violent Night, is an homage to the noir side of publishing. For many years Carol lived on Cape Cod, up the road from the artist and author Edward Gorey. They became close friends and frequent collaborators on a variety of theatrical and other adventures, which inspired her multimedia memoir Edward Gorey on Stage and her mysteries Croaked and Zapped. 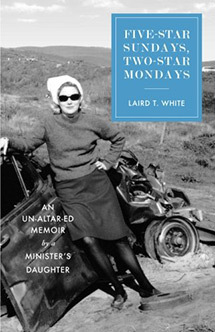 When Laird White tells people her father was a minister, she says she can see in their eyes that they’re imagining her as a kid, constantly on her knees, praying, singing hymns, and memorizing psalms. Are they right? No. “In truth,” she says, “I grew up standing with my siblings in our kitchen, or someone’s living room, singing very funny (and sometimes a bit off-color) songs my minister-father had collected—no hymns included.” While growing up, her dad’s church became a part of Laird’s family and often the stage for what she called “Rascal Religion.” Even after one of his kids played a prank in church, her father would stifle a laugh. His parenting was warm; her mother’s, arctic. Humor and serious poetry became Laird’s armor when facing her mother, bats in a barn, meanness in her medieval boarding school, and the roaring sixties with its badly-behaving-bosses. When she finally married the right man, she was no longer “Laird Trowbridge—the minister’s daughter”—but Laird White, married to a “fun guy” and mother of two wonderful daughters—all blessed with humor. Laird Trowbridge White ’58 has been a writer of poetry, prose, and comedy material since early on in life. Her book of poetry, Barefoot Walking, was published two years ago. Having grown up in a humorous family, she has used the walking stick of humor to get her through life. Laird graduated from Mount Holyoke College with a degree in English and philosophy. She now lives in Lenox, Massachusetts. Her family and her writing are her favorite companions. 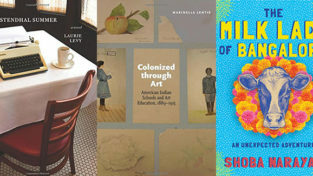 Read more about alumnae artists and writers. 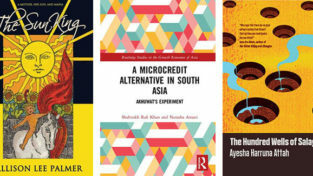 How do I submit information on my own book for inclusion in future lists? Thank you!